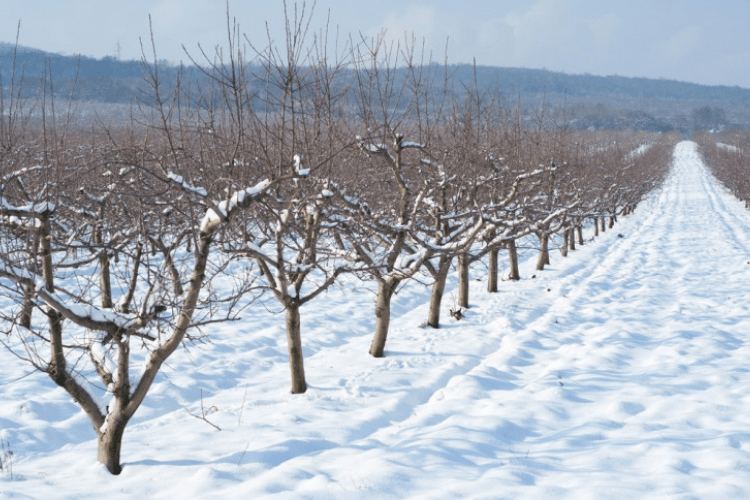 Wintertime Fruit & Apple Tree Pruning | Gold Eagle Co. Although it may seem counterintuitive, winter is the prime season for pruning trees, particularly fruit-bearing ones. Once trees drop their last leaf, they enter a seasonal state of dormancy and are thus much more capable of handling the stresses associated with pruning. If you have any kind of fruit trees on your property, consider giving them a prune once the leaves have fallen. Here’s a good guide for how to get it done. Normally, in the summer time, identifying which parts of a tree are alive is pretty straightforward. Live branches have green leaves and buds showing with the bark still exhibiting some life and color. In the wintertime, however, the task of pruning dead growth becomes a lot trickier. There are no leaves present, whatsoever. Have no fear. Take the sharp edge of your hand pruners and scrape back ever so slightly on a branch’s bark. You’re looking for the branch’s cambium layer, which should show green if there’s life present. If not, you know what you’re working with is dead. Fruit trees are extremely susceptible to bacterial and fungal infections that become pervasive and difficult to get rid of once they’ve taken hold. Infections like fire blight, a common affliction in apple trees, spread like fire, and leaves branches with peeled, burnt-looking bark. If you find any diseased areas, cut them off at least six inches back from where the infection ends, and at a healthy lateral branch. This is important: Lysol your tools after every pruning cut in an infected tree. This will stop the problem from spreading to otherwise healthy parts of the tree. Follow proper pruning protocol. Do not prune more than roughly 30% of the tree’s growth. This is especially important in the wintertime when trees are more susceptible to shock from over-pruning. 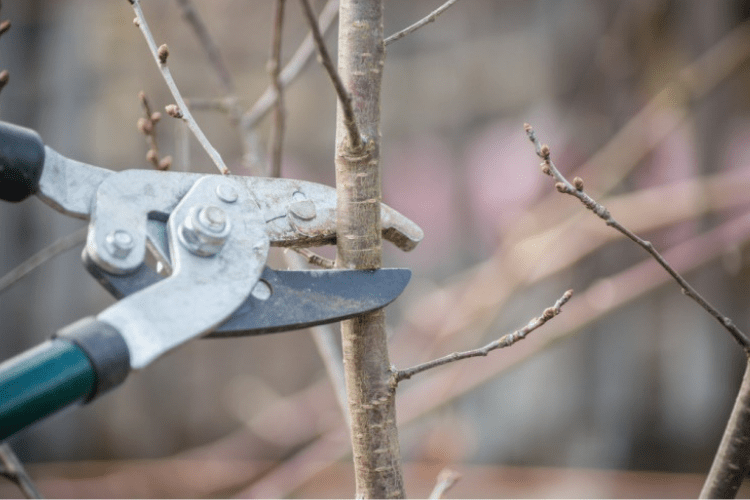 You share the well outstanding information on this page about the care for pruners because the Pruners cut through all kinds of stems and branches, which means they end up covered in all kinds of sap, pollen, and plant debris. This makes them into a grimy, sticky mess and it can be hard to even open and close the blades if there is too much gunk on there, plus infected bits of plant stuck on pruners can transfer disease to other plants. Keep your pruners clean the right way with both regular cleanings after each use and deep cleanings once per season.